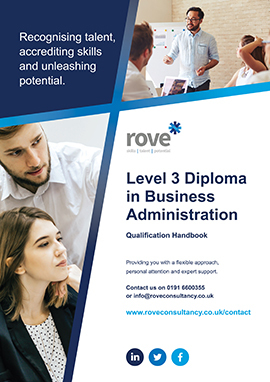 Our business administration courses are suitable for those people who are new to a business administration role through to the higher levels demanding you to stretch your knowledge and skills and grow into a highly competent business administrator. How long will the qualification take me to complete? Typically the Level 3 Certificate is completed in one year, however this depends on your individual circumstances and the CQI set the maximum duration at two years. 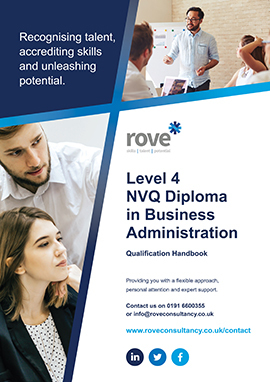 The Level 5 Diploma usually takes two years to complete but depends on your individual circumstances and the CQI set the maximum duration at four years. The Level 4 Diploma in Business and Administration qualification is delivered via supported distance learning. This means that when you enrol you will be allocated a Tutor (subject specialist) who will support and guide you during your qualification. Support can be provided on the telephone, through email and by video calls. All of our other Business Administration qualifications are competence based or combined qualifications. This means that they are linked to your ability to carry out your role. They assess both your knowledge and skills. You will also be allocated a Tutor (subject specialist) who will support and guide you during your qualification and will carry out assessments of your work activities. For all of our Business Administration qualifications you will be provided with an account for our web-based system which allows you to access learning and study support materials and much more.